Me and my mom has this ‘system’ where we will have our ‘hot spot of the moment’ – an eatery that we’ll frequent almost every week, to the point that we’ll either get sick of it or move on to a new place. So our current so-called favourite spot is this little Chinese kedai kopi called Ah Fatt Café. Yup, a simple name for a relatively simple looking place, but I can assure you that their food were pretty darn good. 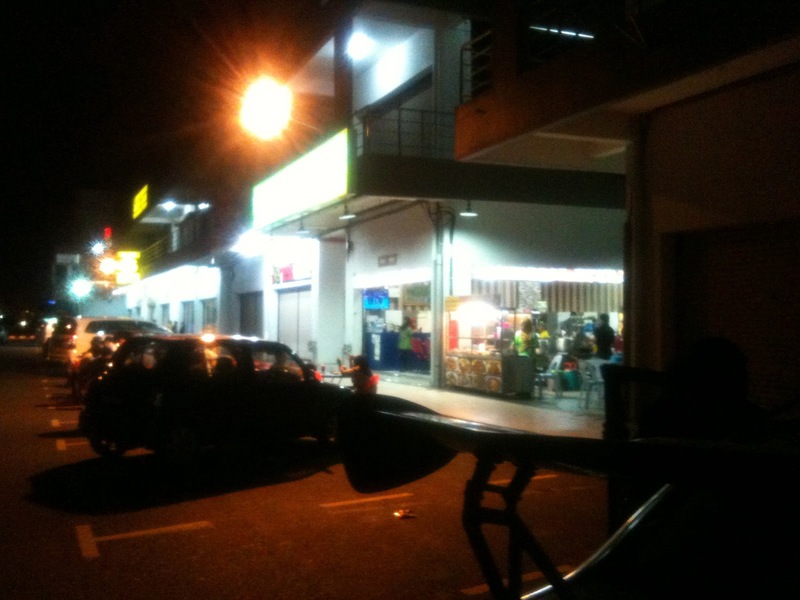 Oh and by the way, it is situated at the single row of shops right behind Giant Hypermarket Tawau (at the far end of said shops). As you might expect, we’d been to the eatery numerous times now so among the dishes that we’ve tasted were their Salted Eggs Fried Rice, Fried Mee Hoon with Fish Sauce, Chicken Sambal Rice, Mango Fish Rice, Kangkung Masak Belacan, Tofu with Salted Fish and Claypot Tofu. Of course not all of the dishes were slam dunks as I personally think that their Kangkung Masak Belacan unfortunately did not taste that fresh and the Claypot Tofu lacked proper seasoning. But my mom absolutely loves this place and their Fried Crab Mee Hoon (not in the pictures) is still a favourite of mine, which also happens to be one of their top sellers. Their price point is also their advantage (for now) as it is still possible for you to get a good meal for 2 persons at only RM20.00 (yup, rock bottom indeed). Well it seems that we have a repeat of the Kurtos Spiroll episode here folks. Just when I thought that this particular franchise cannot possibly be making its way to our shores (because again, this one might not be that high on our wish list) lo and behold, it opened at the 1Arena (BDC) Commercial Centre (very near to Giant Hypermarket). So unlike The Cafe BBQ that I went with my partner while I was in Imago KK, this time around I’ve asked my mom since she’d been giving me subtle hints about going there lately (yes, I do get it mom!). Feeling obliged, I brought my mom along and after an extensive ‘meditating’ in front of their menu, we’d decided on trying out their Jerk BBQ meal set (mom loved the chicken, as it is succulent and the sauce was just right she said) and their Kimchi Burger (I must say that I really like the kimchi inside the burger, as it doesn’t overwhelmed the crispy chicken patty at all). The food and service seems to be okay and all but I did notice that the place lacked customers even though it has been open for quite a while. Other than the somewhat above average pricing (*cough* expensive *cough*) I think that Tawaurians might not fancy Korean food as much as the latter’s music & dramas. But then again, that is just my personal theory. One thing that this place got right (or probably they’d just lucked out?) is their monopolization of a strategic location. 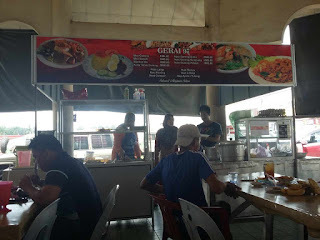 The Gaya Commercial Centre (at Jalan Guru, right next to Taman Gaya B) was still brand spanking new when they opened their doors as the first eatery within said premises. In terms of food, there are some hits and misses. Me and my mom tried out their Nasi Briyani (the rice dish was very cold so it does effect the taste a bit), Nasi Campur (mom was trying to avoid the all curry themed dishes and said that it was okay at best) and some Roti Canai (pretty crispy but the curry was not particularly flavorable). Now ready for something that is not so good about this place? I have never in my life got totally ignored by a waitress. There might be several dragging-on-their-feet types of situation but never like this. So there I was trying to catch this waitress’s attention (she was just standing around the cashier counter) politely and even smiling when she just brush me off. At first I thought that I may have mistakenly identified a patron as a waitress but I can assure you that that wasn’t the case. When I tried again for the second time (as she was walking by) she just threw me and my mom this bored look and muttered ‘oh..’ and then went passed our table to serve another table! I was so dumbfounded by it all that I hadn’t even realized that another waiter had (thankfully) took notice of us and took out orders. I’m usually a cool cucumber but it is just baffling even for me. And I did notice that the ‘other table’ was occupied by young lads that might contribute to the particular brush off. Here it is people; my very first local hipster café visit! Gosh I sound old when I say that. 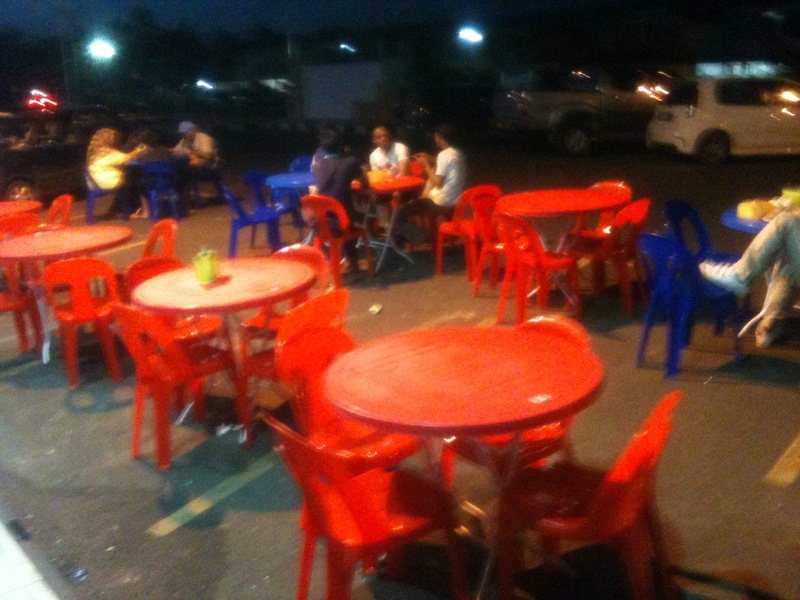 Granted, there aren’t that many hipster café being opened here in good old Tawau before (until very recently when they made their sudden appearances all over). I did a little digging (via Google of course) and found out that it implies ‘trendy cafes which are deemed a favourite hangout for youngsters’. 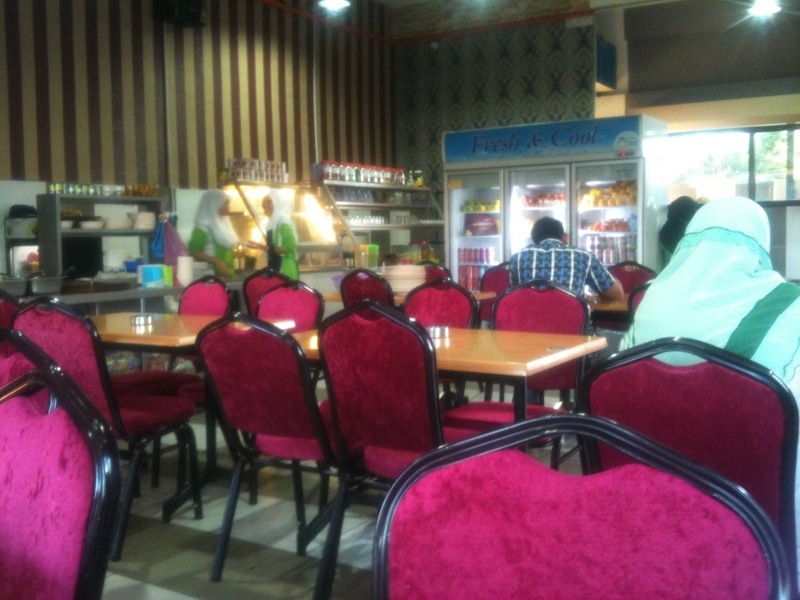 Well… okay then… Shall we move on to the actual café yes? So the Container Café is exactly what you would’ve expected a hipster café should be. 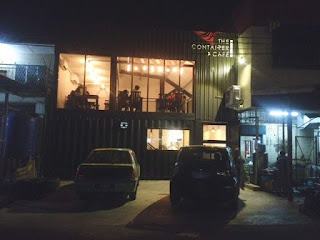 They’d ticked all the boxes; a unique place (it’s located at the back side of Taman Emas (near Fujimart)’s single row shops – and with plenty of selfie potentials to boot), signature concept (the place was partly made from industrial containers – hence the name), western food (as of now, the choices of food might be a bit limited) and coffee (well duh!). If I’m not mistaken, the café had just opened its doors for all sometime last month so it is forgivable for them to still be tweaking their food here and there. 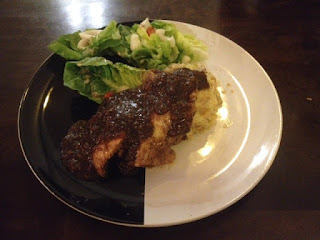 Because when we’d ordered their Spaghetti Bolognese and Black pepper Chicken Chop, it was not up to par (yet). The former’s meatballs were a bit chewy and had a strong beefy smell while the latter’s sauce was a bit tasteless (but I do appreciate the fact that they did their own mash potatoes, even though it was very bland). But I absolutely loved their Chocolate Waffle, as it was crispy without being too hard or bitter (just nicely done) with a good spread of Nutella on top of them, plus a tasty scoop of vanilla ice-cream. I also like their orange juice (they did not add any sugar, just 100% original juice so it was sour as hell – my kind of juice indeed!). Before patronizing however, I do advise you guys to check out their FB page first, as they’re still in semi-renovation mode from time to time, and to check out for their off days. Also, do be extra careful while parking as the back alley (it’s unavoidable since the café is located at the back side of the shops) since it can be extra dark at night. 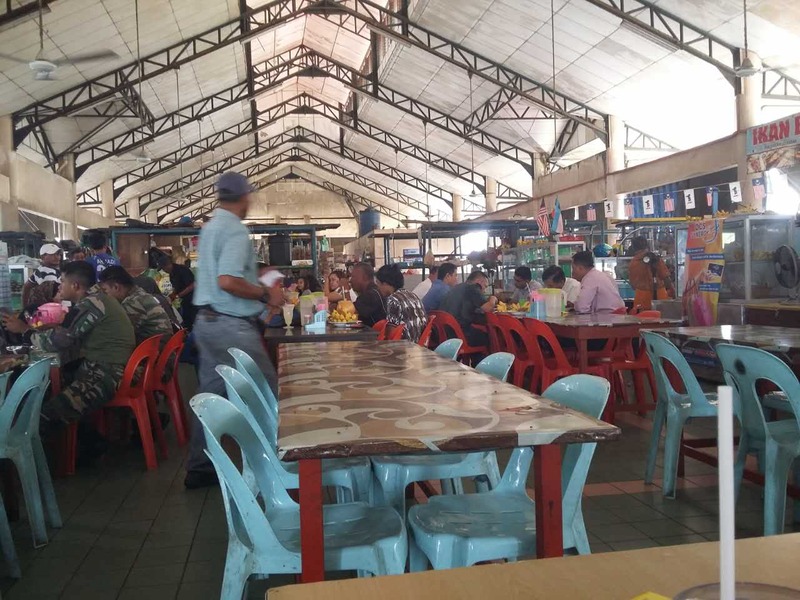 While I was doing a sweep inside my laptop recently (because I have a few days to spare during the recent public holidays) I noticed that I have a few materials on hawker food (aka warung) from in and around the Tawau area. So a light bulb moment came to me and I decided to compile them into a special edition of sorts. Mind you, this is only the first part of such ‘edition’ so do expect more of them in the near future. What do I think: It’s the place to be especially after sundown and you’re thinking of chilling out with some friends, warung style of course. 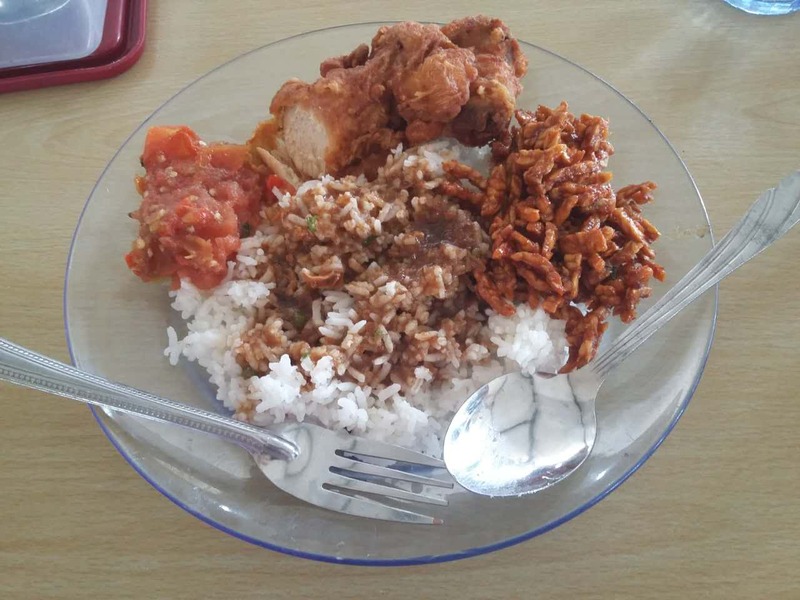 The Nasi Goreng Aspar is our favourite dish to order here, as the place never fails to impress us with the crispiness of their fried chicken. 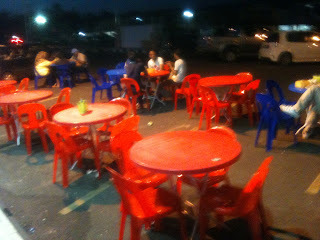 What do I think: Just a few stalls away from the latter is this warung that specializes in seafood and Thai cooking. Another plus point – there are also a few other tinier stalls selling some good old satays and grilled chicken wings within their premises. 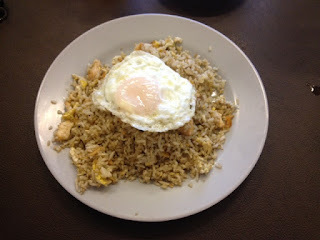 Their Nasi Goreng Ayam Penyet was okay in terms of taste but not great. But their tom yam soup was recommendable, what with its balance of sour and sweet tastes (and surprising not that spicy). What do I think: This place might be a bit overshadowed by a stall next door (a more popular one called Warung Nina) but I prefer this quiet stall better. I know this is a matter of personal taste but according to my taste buds, this place has one of the best Nasi Ayam Penyet there is. 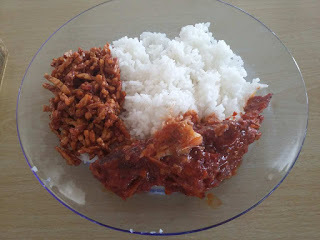 I mean the sambal was just out-of-this-world but do be warned though that it’s on the spicier side. What do I think: It’s a good place to find not only Chinese seafood but also Indonesian warung food. I recommend their array of ‘lauk pauk’ especially for lunch, not just because of the variety but also for their perfectly seasoned tastes (although you might need to battle the heat while having your lunch there). 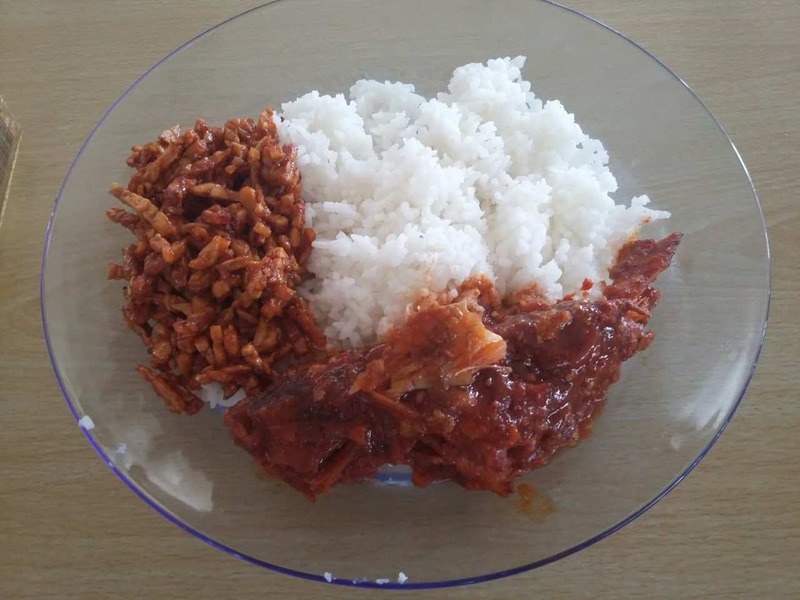 What do I think: The variety of their ‘lauk’ might not be as extensive as the latter but it is still sufficient and with acceptable above-average tastes. It is recommended for you to come before lunchtime since their food will most probably be gone by then. And it’s good to note that their pricing was one of the cheapest out there. Have you guys heard of the Warung Padang Jawa at Alamesra Kota Kinabalu before? It’s this restaurant that is quite popular for their Nasi Ayam Penyet and at a very affordable price. Unfortunately I’ve never been there to try them out myself (yet) but no worries; since it seems that they have graced us with their presence here in Tawau. Even though it’s called D’Salam Café here and is located within the Ba Zhong commercial area (formerly the Italian café Farfalle’s spot and also right in front of the Restoran Wakaf Thai Tom Yam) we were sure that we’re at the right spot (because their banners outside said so). And it’s quite telling that this place has just been very recently opened, what with the weirdly positioned standing fans and tissues that hadn’t been bought yet (no joke – we requested for them and that’s what we were told). At least they’re being honest right? But it’s kind of obvious that the first thing to do when me and my partner were there is to try out the in-famous Nasi Ayam Penyet (which is also a promotional item, paired with Air Sirap Limau at RM8.50 – at the time of this post) and I must say that I’m impressed. The chicken was nicely fried all through the bones and the sambal was sweet, tangy and a bit spicy all at once. But is it the best in town? I think I have to differ (because Tawau can also be considered as a ‘hot place’ for Nasi Ayam Penyet) but I can assure you that the dish will not disappoint you. 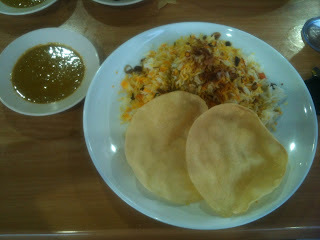 But what will is their Fried Kuey Teow (my partner is in the mood for one) since it tasted bland and overly charred.